Abu Dhabi may have come to the Gulf’s tourism scene after its neighbors, however its ambitions are high and its plans are firm. 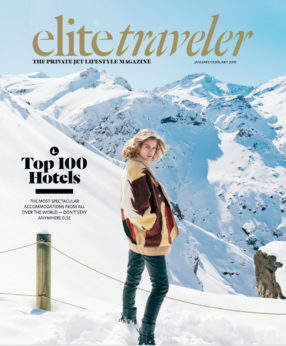 With a rich history, large investments in infrastructure and a long-term vision of how it wants to get there, the emirate is already on the hot list of tourism destinations for elite travelers (see Elite Traveler Sept/Oct 2012 Top Suites of Abu Dhabi and Abu Dhabi Destination Guide at Elitetraveler.com). Amid hosting the World Travel & Tourism Council Global Forum with some 1,000 travel industry kingpins, Director of Tourism Ecosystem Sultan Al Mutawa Al Dhaheri took time to meet with Editor-in-Chief Douglas Gollan and talk about why elite travelers should put Abu Dhabi on their itineraries. 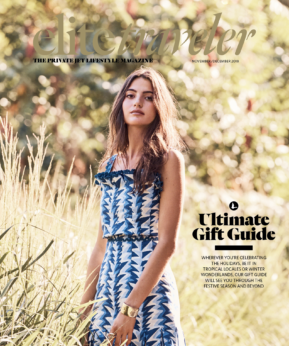 Elite Traveler: What is your role as Director of Tourism Ecosystem? Sultan Al Mutawa Al Dhaheri: In the tourism sector you can’t organize things in a silo. You need to have all components, all key players, government and private sector, work together with a singular vision. Our goal is to make sure that happens so the value chain is sustainable and we deliver a quality product. ET: What is the tourism goal for Abu Dhabi? SMD: The Abu Dhabi Tourism & Culture Authority has been mandated to develop a sustainable tourism destination. 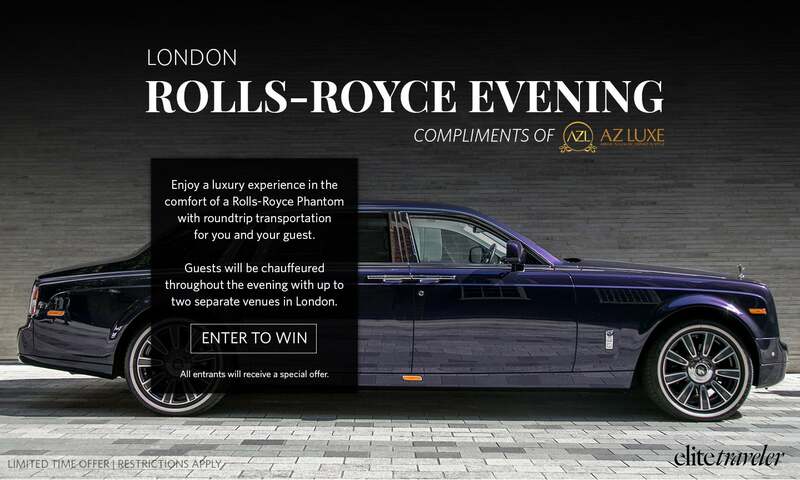 Our focus is to develop a high-end luxury experience for our target customer, which includes the private jet market. ET: How is it going? SMD: As you can see (motioning at the scenes of development and cranes from the 45th floor boardroom windows of the Jumeirah at Etihad Towers) from what is existing, we have achieved a lot in the last six or seven years starting from virtually nothing in terms of being a tourism destination. This year we will reach 2.5 million visitors, next year 2.8 million, and our goal is 7 million by 2030. We are targeting niche visitors. We are not looking for mass tourism. ET: Dubai, then Qatar received lots of attention with manmade islands, indoor skiing, ultra tall buildings. How are you positioning Abu Dhabi here in the region? SMD: We’re trying to position ourselves differently. We always say we are a cultural destination. We are seeing a shift towards culturally inclined travelers who are looking for high-end experiences. This is likely to increase as culture and heritage form an increasing role in our tourism portfolio. The eastern region of Al Ain, the emirate’s heritage heartland, lets travelers get a glimpse of very traditional Emirati life with settlements dating back thousands of years. In addition to Al Ain being awarded UNESCO World Heritage Site status, the headline attractions over the next decade are likely to be the world-class museums planned for Saadiyat Island. The Louvre Abu Dhabi is due to open in 2015, a year later the Zayed National Museum will open and the Guggenheim Abu Dhabi will open in 2017. 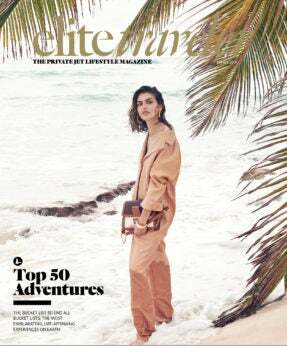 ET: Beyond culture what else what would you point to for elite travelers? SMD: Abu Dhabi offers a compelling range of attractions for the luxury traveler, from a wide portfolio of five-star-plus hotels, an appealing selection of gourmet restaurants managed by some of the biggest names in the business (including an annual food festival in February) to high-end experiences, stunning marinas and exclusive shopping from top brands. Of course we already have Al-Bateen, a dedicated airport exclusively for private jets. ET: You mentioned marinas. Can you give us an overview? SMD: Emirates Palace Marina is one of the Arabian Gulf’s most prestigious marina developments with instant deep water access to the clear waters off Abu Dhabi Corniche, full superyacht berthing facilities and all the services of the luxurious Emirates Palace hotel. It is also a 5 Gold Anchor Award winner from The Yacht Harbour Association of the UK and holds ICOMIA Green Marina status. Al Bandar Marine is the central point of Al Raha Beach development. It is home to modern apartments and duplexes, loft-style residences and larger family apartments, all with balconies and waterside views and only 15 minutes drive from Abu Dhabi city and five minutes to the international airport. Al Bandar is a community-based marina designed for the mainstream owner and those who wish to make their first step into boating, with a total of 131 berths ranging in sizes from 9 meters to 24 meters. 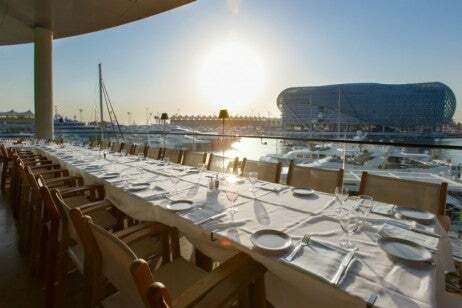 Yas Marina is 175-berths, home to the Formula 1 Etihad Airways Abu Dhabi Grand Prix. 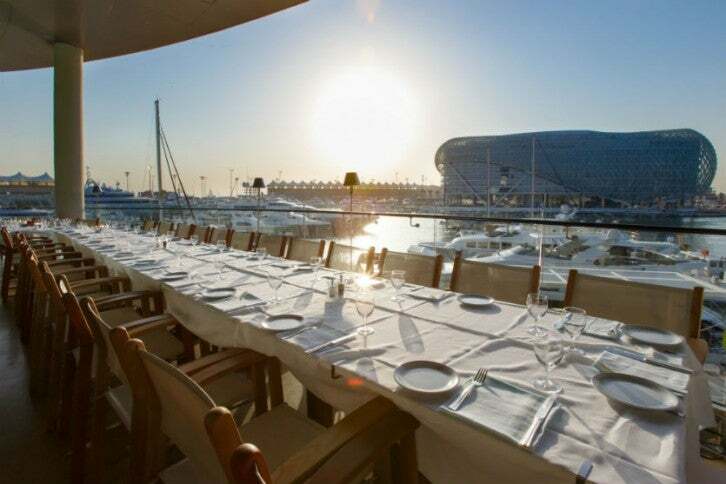 Its unique setting, surrounded by Yas Marina Circuit, is the perfect vantage point for racing action or a quiet drink at the Yas Marina & Yacht Club. Here you can discover a mix of relaxation and entertainment entertainment, from fine dining at Cipriani’s and a casual bite to eat at Stars ‘N Bars, to nightlife at Allure. And guests arriving by yacht can enjoy direct access to the Marina tower of the iconic Yas Viceroy Hotel, along with VIP check-in facilities, allowing them to enter their rooms and suites moments after docking. The Intercontinental Abu Dhabi Marina is one of the most picturesque marinas I’ve seen. It can berth 191 boats varying between 8 and 21 meters. It is also home to the stylish Yacht Club with its contemporary design, open terrace and Pacific Rim fine dining options. Lastly, Ghantoot Marina & Resort is 20 minutes from Dubai and 40 minutes from Abu Dhabi. The marina has 300 berths available, seven of which will accommodate super yachts up to 55 meters. ET: How about eco-tourism and soft adventure? SMD: We are where the desert meets the sea. Al Gharbia or the Western Region, makes up over two thirds of Abu Dhabi emirate. Along its hundreds of miles of coastline are stunning beaches and islands. A great way to start exploring this vast region is the drive to Liwa—a historic oasis town at the entry to the Rub Al Khali (Empty Quarter) the world’s largest uninterrupted sand mass. Liwa will dazzle with its massive expanses of awesome desertscapes and the biggest dunes this side of the Sahara. There are sand dunes 40 stories high. ET: Can you talk about sports tourism? ET: Can you update us on the hotel scene? SMD: Abu Dhabi has a wide selection of city-based ultra-exclusive properties, sweeping resorts and luxury desert camps managed by top operators including Kempinski, Jumeriah, Sofitel, Rotana, Rosewood, Fairmont, Shangri-La, Anantara, Hilton, Anatara straddling the F1 track, Viceroy, InterContinental and the Westin, which is next to Abu Dhabi Golf Club and the St. Regis and Park Hyatt, which are close to the Saadiyat Beach Golf Club. Ritz-Carlton just opened. There’s much more to come. ET: As you travel to promote Abu Dhabi, are there any misperceptions? SMD: People associate the area with safety (issues) but the UAE is a very safe destination. We have more to offer than people think—we are much more diverse and we are adding more and more—year by year you will see Abu Dhabi with a new face.